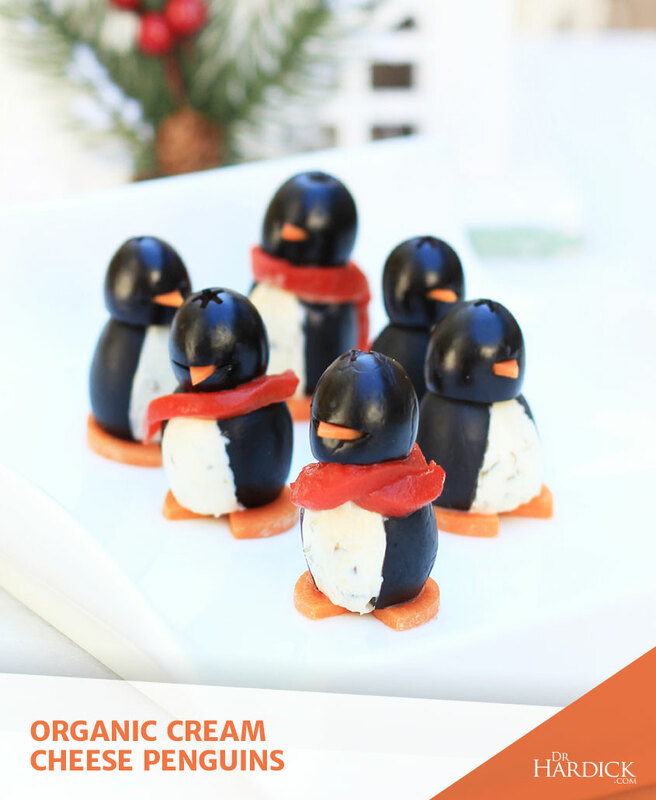 Adults and children will get a kick out of this appetizer – Organic Cream Cheese Penguins! 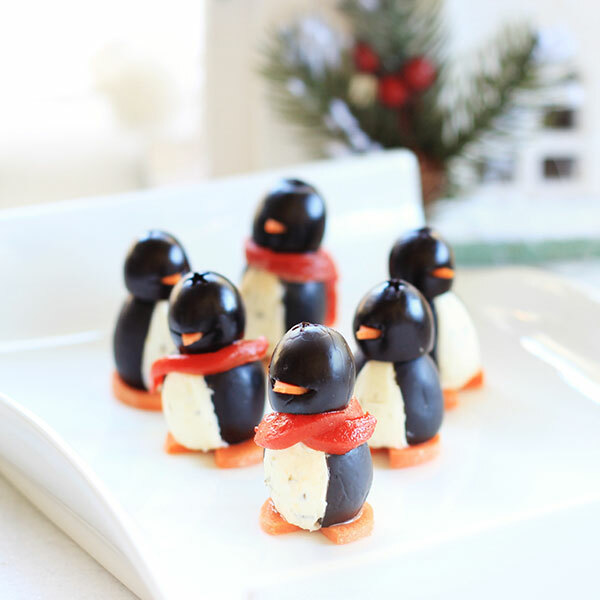 The combination of black olives, carrots, fresh red pepper strips, and cream cheese build the perfect penguin treat for your next party or festive holiday gathering. Black olives are a good source of vitamin E, dietary fiber, and oleic acid (a healthy, monounsaturated fatty acid). 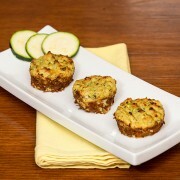 These veggie treats are just as much fun to make as they are healthy to eat! Try making different versions of penguins with hats, ties, shoulder pads, clown suits, etc. 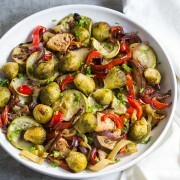 from the original recipe. 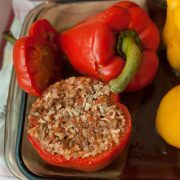 Mix spices into the softened cheese, and put cheese mixture into a pastry bag or a plastic bag with the corner snipped off. For the body, select a jumbo olive. Slice a bit off the hole end so it sits straight. Cut a slit from top to bottom, lengthwise, into the side of each olive. For a big white belly area, cut a 1/4 inch wedge out of the olive. 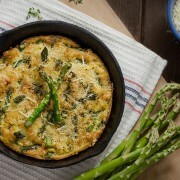 Carefully insert about 1 teaspoon of cream cheese into each olive; smooth with a spatula or butter knife. Make thin beaks by slicing the beak pieces in two (make them half as thick). 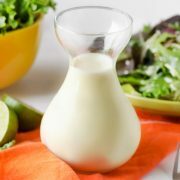 Cut a slit in a small olive and insert the beak to make a head. If the beak is too wide, cut off a little bit of the wide corners. 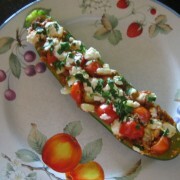 Set a big olive, large hole side down, onto a carrot slice. Then, set the head, hole side down, onto the large olive, adjusting so that the beak, cream cheese chest and notch in the carrot slice line up. Secure with a toothpick. To make scarves, cut red or yellow peppers into strips about 5-6″ long and 1/4″ wide and wrap them around the necks of the penguins. 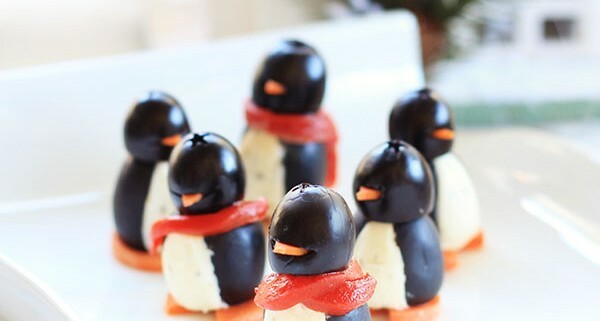 Recipe inspired by Emily Birt’s Party Penguins. 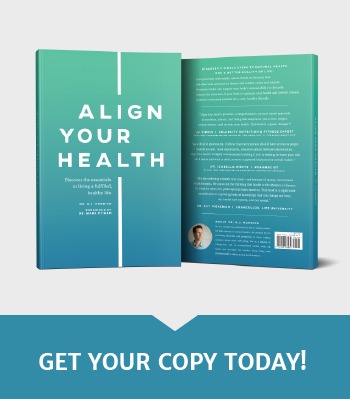 Get my Superfood Christmas eBook (47 Recipes)!